SmartStrand Forever Clean has no dye sites for spills to adhere to so the carpet is naturally stain resistant. 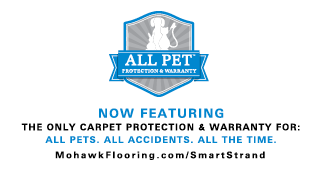 Even when your pet has an accident, your carpet will remain easy to clean. 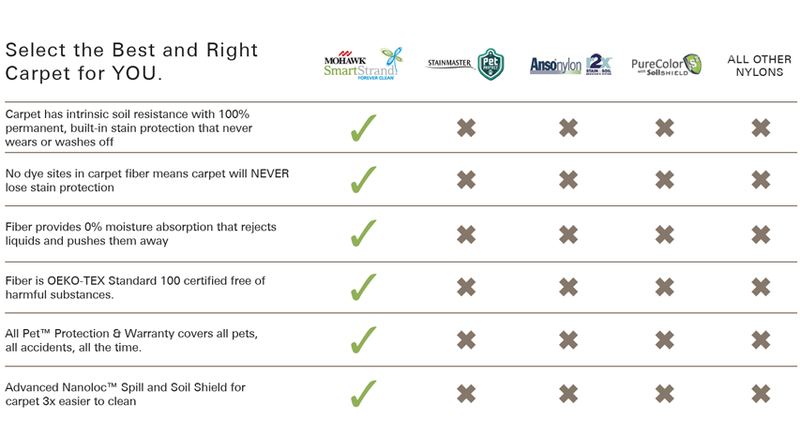 Advanced Nanoloc spill and soil shield encapsulates the fiber so it’s three times easier to remove pet hair, soil and dander common with household pets. 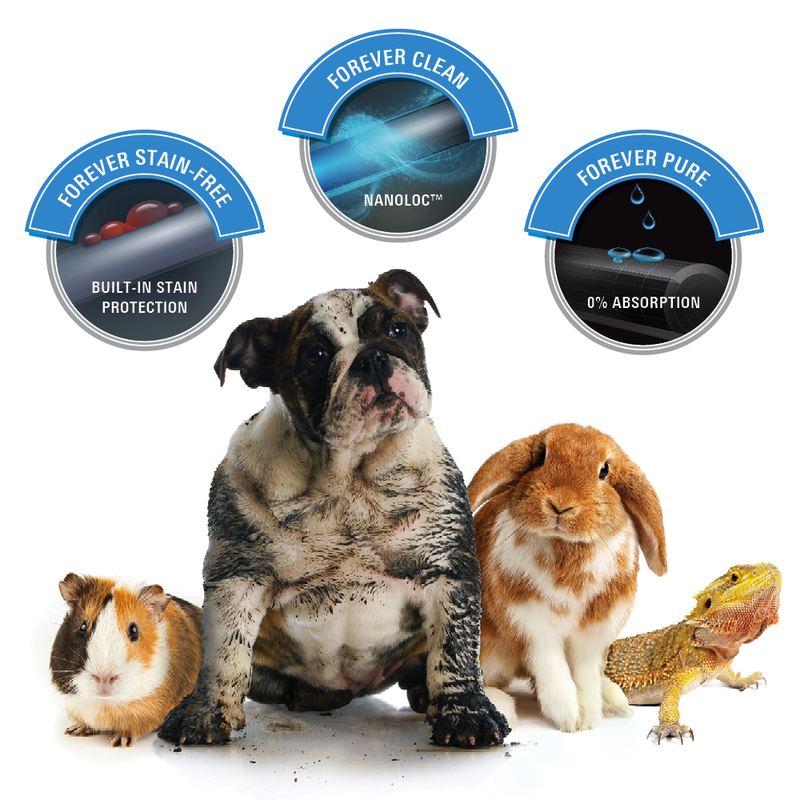 With SmartStrand Forever Clean, pet accidents will not absorb into the fiber. This added protection prevents and reduces common pet-related odors. 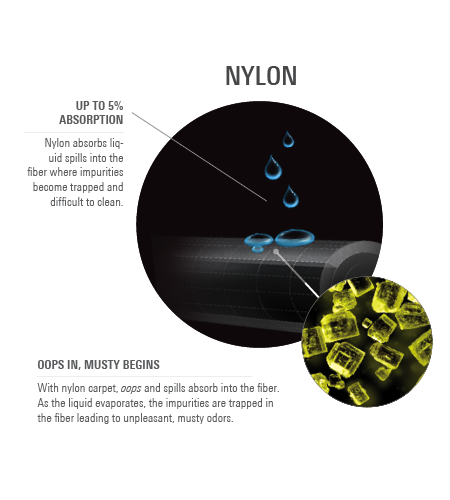 Did you know the average size home with nylon carpet can absorb up to 30 pounds of moisture into the fiber? Over the years, odors become trapped. SmartStrand Forever Clean keeps spills on the surface so they are easy to clean and your home remains pure.